Hold factor 4 -strong hold/natural matte finish. Unique luxury fragrance. Classic British styling.The look: Superb for all lengths of hair, adds texture and hold with a natural matte finish helping you to creatively shape and define your hair's style. 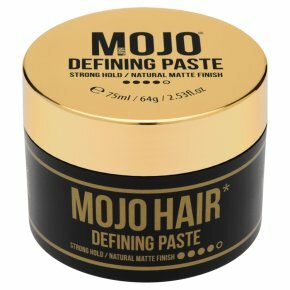 What it does: Gives a long-lasting hold that adds texture, volume and control with a medium to firm hold. Perfect for adding texture and restyling your hair throughout the day. Directions: Apply a thin layer evenly to palms and work thoroughly through your hair - add to the roots for ultimate control and then focus on the ends for definition. For longer styles, apply a thin layer to palms and apply where required for subtle control. Washes out easily.